As North Kildare basks in the scorching Summer heat, the busy people from the National Council for the Blind of Ireland are asking residents of the area to spread a bit of sunshine of their own by volunteering their time to the sight loss charity. The organisation, which provides practical and emotional help to people at all stages of their sight loss journeys, says its dedicated band of volunteers get back more than they give by volunteering with the charity. Ahead of its Volunteer Recruitment Day next Tuesday 3rd July in its Mill street, Maynooth shop, Pauleen Byrne, National Volunteer Co coordinator with the NCBI says “Maynooth is a busy thriving town and our retail shop does very well there . It is a hive of activity and so we need a NCBI couldn’t do what it does without the generosity and dedication of our committed volunteers. Just think of the logistics of organising the many events that we do, in a bid to meet the needs of the people with sight loss, it would be very difficult without the help and support of our volunteers. They represent huge monetary savings to us as well as being examples of excellent community spirit and generosity. 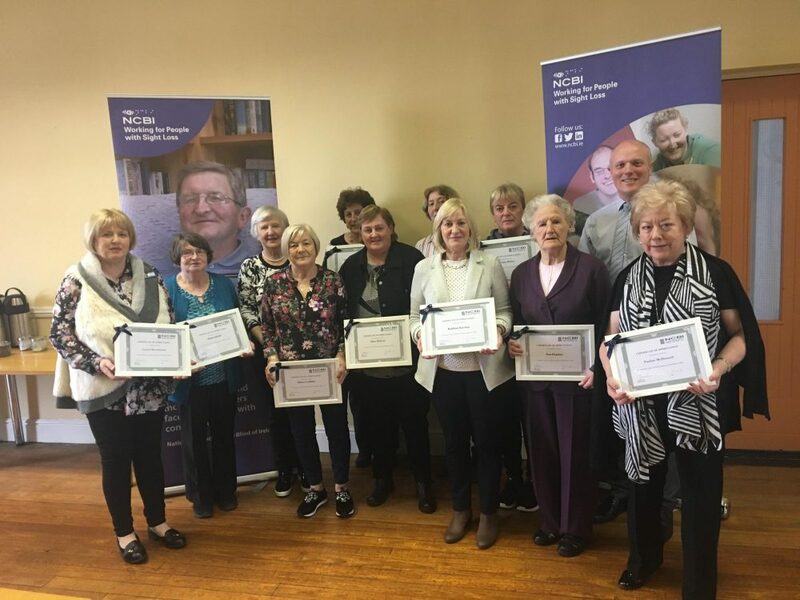 Luckily our volunteers love what they do for the NCBI and say they are the ones who benefit and studies do show that giving your time to charity endeavours does help stave off loneliness and isolation. It’s a win win situation for everybody”. Given that the NCBI now heads up the second largest charity shop chain in the country with some 9 shops in Co. Kildare alone people in Maynooth with time to spare could easily pass some hours away. Pauleen says “We are looking forward to meeting many new volunteers next Tuesday . Drop in for tea and cakes between 11am-2pm and give it a go”. If retail isn’t your thing why not try your hand at bag packing, bucket collections or stewarding at the many public fundraising events planned by the NCBI for the coming year.